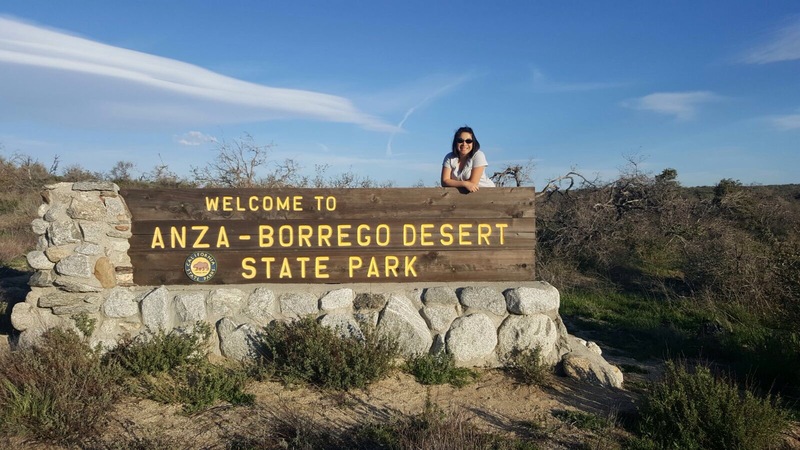 A couple of weeks ago, I took a road trip with one of my closest friends to Southern California to check out the Super Bloom in Anza Borrego Desert State Park. It’s a long drive so we stopped in Los Angeles County to split up the drive both ways. Along with the beautiful wildflowers, there were plenty of cactus and Ocotillo. I even got an opportunity to do some four wheeling from one end of the desert to the other. If you want to see more desert or dessert photos, follow my Instagram account. On the return home, we stayed in Pasadena for the night. 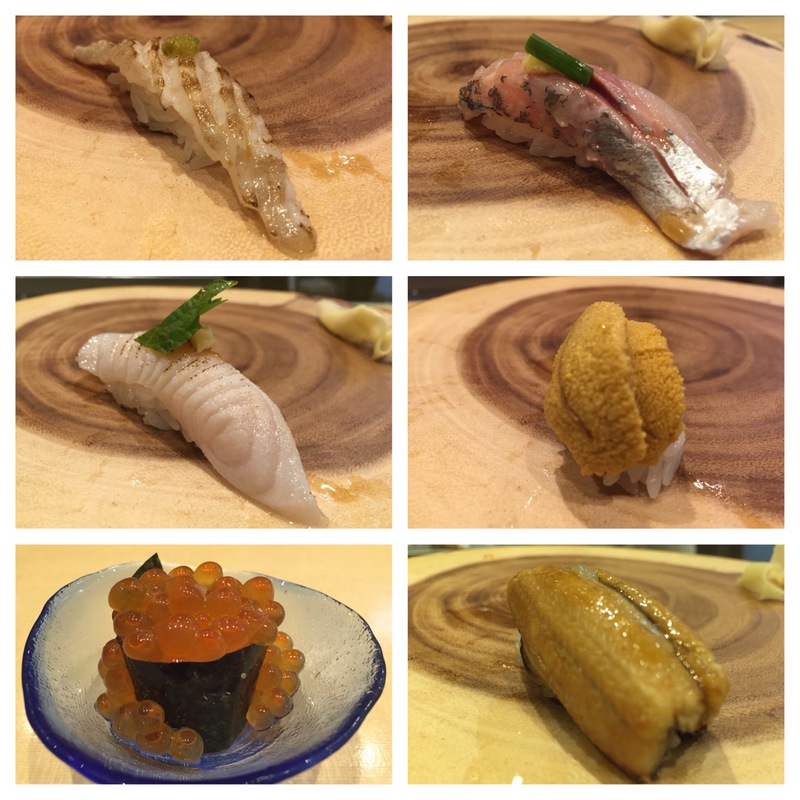 After a few days of mediocre food in the desert, we were interested in some fresh sushi. With some research, I discovered the recently opened Sushi Enya. The restaurant doesn’t take reservations, so we made our way to Colorado Blvd and were lucky to get seats at the sushi bar. 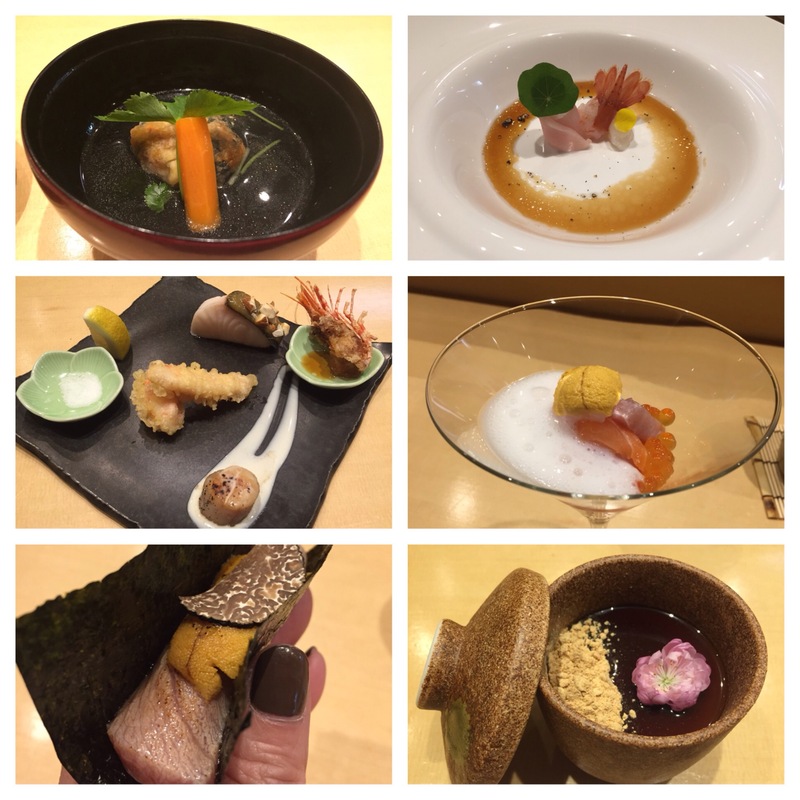 We decided on the omakase dinner which would be a three hour affair and included welcome tea, about twelve pieces of sushi, soup, two appetizers, a hand roll, and homemade dessert. The meal was very well paced and service was both friendly and impeccable. The waitstaff had eyes like hawks because as soon as you were done with a plate, someone would remove it as quick as lightning. A new cloth napkin would appear if you stepped away. I was getting quite full and made a comment to the sushi chef and he said he would use less rice for my remaining nigiri. I was also impressed to see a female sushi chef, even though she wasn’t ours. I heard women don’t make good sushi chefs because their hands are warmer than mens, which is not good for fresh fish. This was my first encounter with a female sushi chef. I thought the dinner was excellent. After “slumming it” the past few days, it felt like a worthy occasion. Our hotel check out was noon the next day. We both planned to work out in the gym in the morning before check out. We would also have a final meal in Pasadena before the long drive back to the Bay Area. I didn’t really want to work out, but luckily I did. 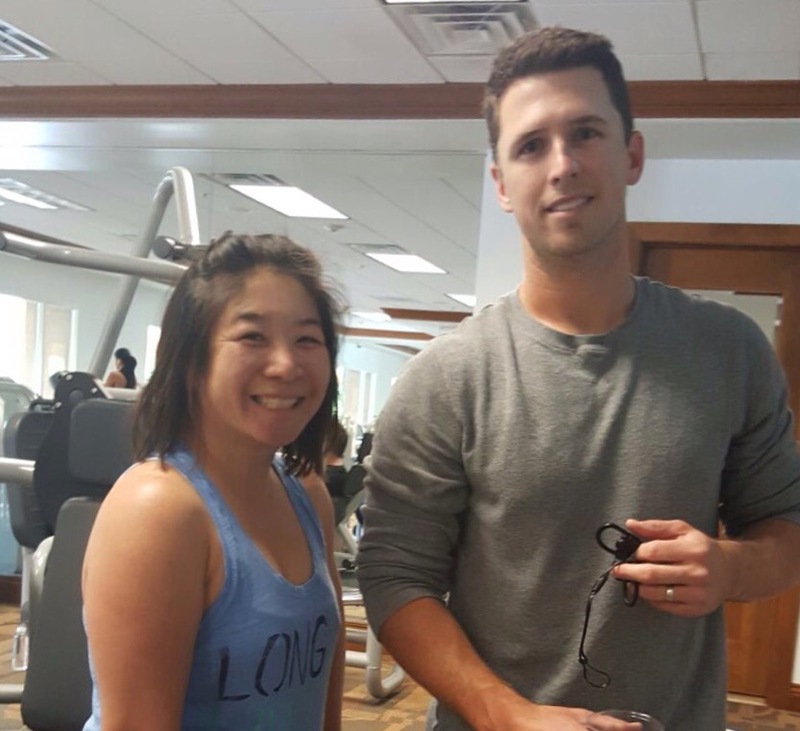 Otherwise, I would never have met San Francisco Giants Catcher Buster Posey! He was pretty cool about taking a photo with me. After our work out, my friend wanted ramen so I sent a text to another friend, a Pasadena resident for a recommendation. He mentioned a ramen place called Ramen Tatsunoya. 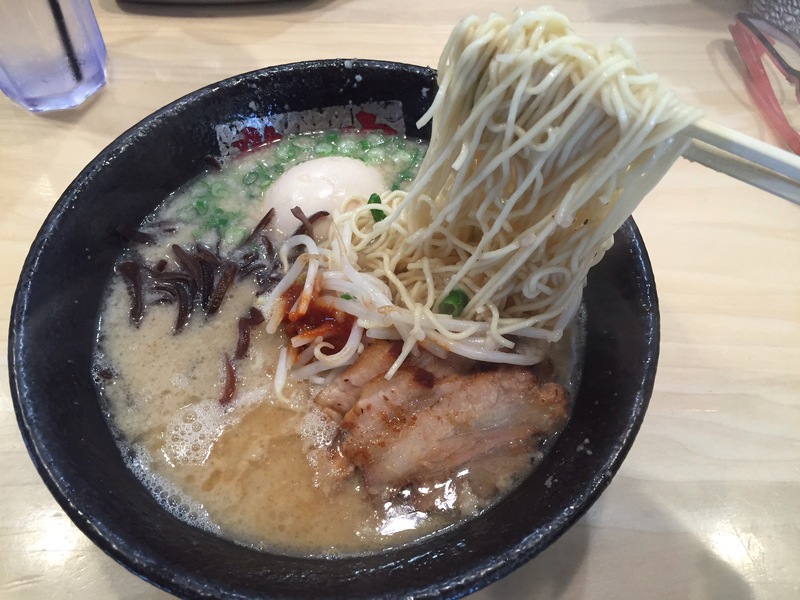 It’s special because this is the only Ramen Tatsunoya outside Japan. I was sold. I ordered the favorite Koku Tonkotsu which has rich broth with pork back fat, spicy miso, garlic, and burned onion oil. I added a flavored egg. This bowl was pure comfort. The ramen noodles are a bit thinner than I’m used to, but I thought the consistency lightened it up. This must be how they make ramen in Japan. It tasted different, but felt legit. We made great choices in Pasadena, Japanese cuisine and hitting the gym!